Discussions Magazine Music Blog: Limited Reggae Collector's Packs available NOW! 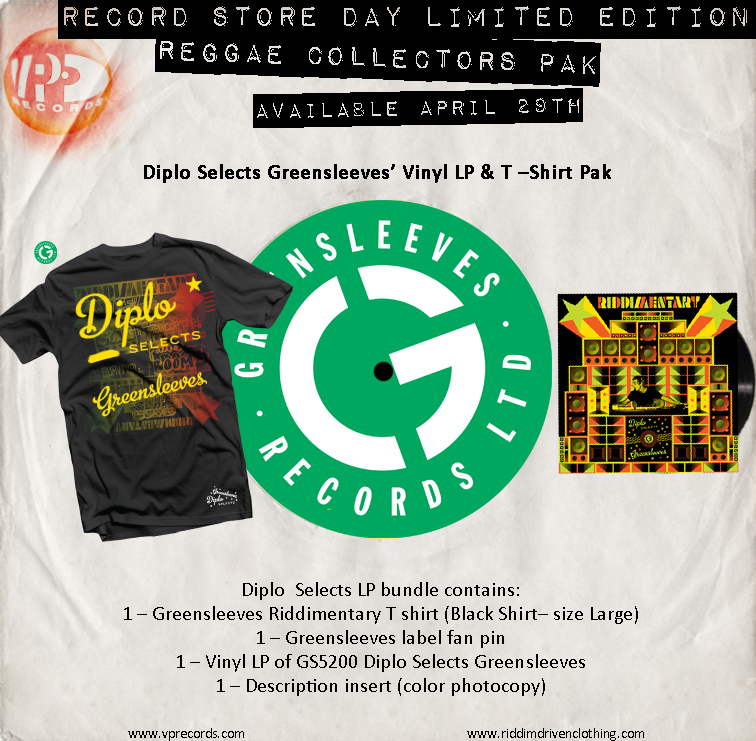 Limited Reggae Collector's Packs available NOW! Thomas Wesley Pentz AKA Diplo - one half of the production team behind the popular hybrid Reggae project Major Lazer, lends his eclectic ear to Riddimentary, a guided tour through the Greensleeves Reggae catalog. These specially selected tracks present eight crucial hits chronicling Reggae's ascent from Dub to Dancehall in the '80's on a high quality, limited edition vinyl LP. The historical relevance of these selections shines a light on Diplo's production influences and expert knowledge of the Reggae genre. For new converts to Reggae or collectors of crucial tracks from Reggae's classic era on vinyl, Riddimentary is rudimentary.